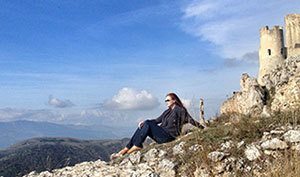 Since the beginning of January, I have shown you a tranquil inn with scenic views of the Pacific, and an artisan olive oil company that presses olives grown on their 45-acres of olive orchards. After our olive oil tasting and olive press tour of Pasolivo concluded, my husband and I headed up the road a few miles to Adelaida Cellars for a wine tour and tasting. We entered the intimate and welcoming tasting room and were immediately greeted by Tony, our tour guide and wine expert. Tony got us started with a taste of Version White Anna’s and Glenrose Vineyards, a medium-bodied and crisp blend of Grenache Blanc, Picpoul Blanc, Viogner, and Roussanne. At that moment, tasting this initial wine, I knew I was going to love Adelaida! Tony poured a few more wines while telling us about Adelaida Cellars and the property. It’s a family-owned winery that was named after a small town called Adelaida that once thrived in the area back in the late 19th century. 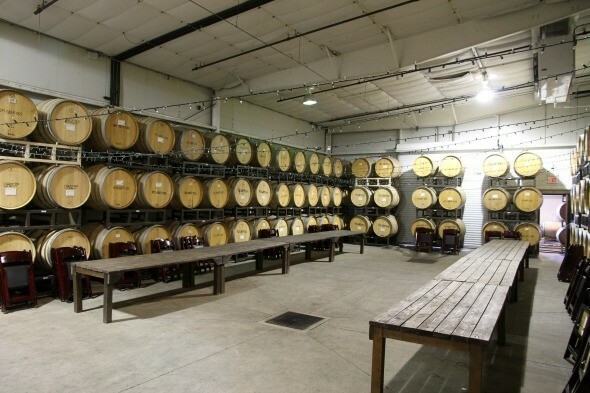 Adelaida Cellars grows many varietals on several of their vineyards all located in the Adelaida District including Pinot Noir, dry-farmed Zinfandel, Syrah, Cabernet Sauvignon, and a many avant-garde Rhone varietals. Adelaida Cellars is also SIP (Sustainable in Practice) certified. Learn more about SIP certification here. Tony poured one more taste for my husband and me, then invited us to bring it along on our tour. Our first stop was a barrel room. 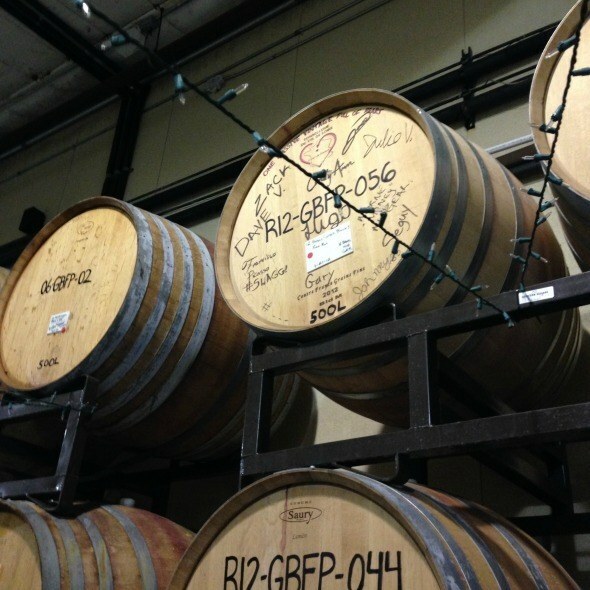 The walls are covered from floor to ceiling with signed French oak barrels peppered with the signatures of the people involved with making the wine. Tony told us it’s a room they use occasionally for gatherings and parties. We left the barrel room and stepped outside to the processing area. 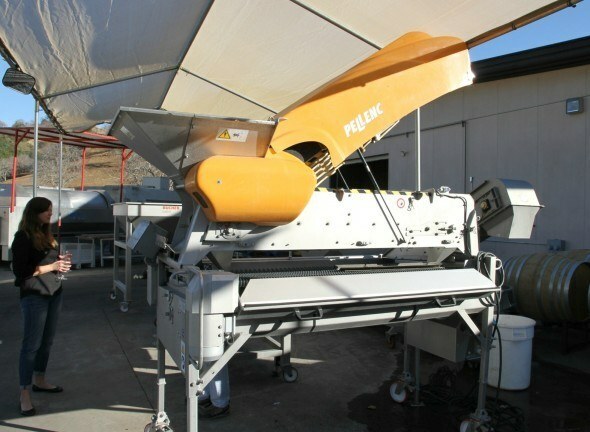 Several machines sort fruit once it’s been harvested as well as crush the grapes and retrieve their juices. Grapes aren’t the only thing to be sorted. Walnuts get a once over, too. 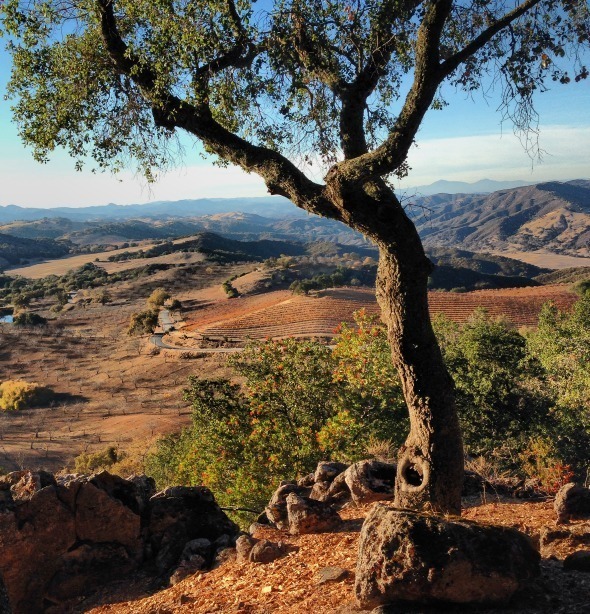 Adelaida Cellars’ property includes 600 acres of walnuts and 200 acres of almonds. 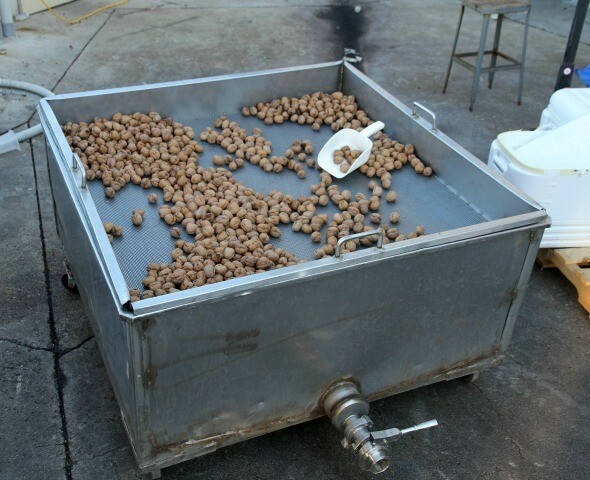 Homegrown nuts are often served along with tastings. 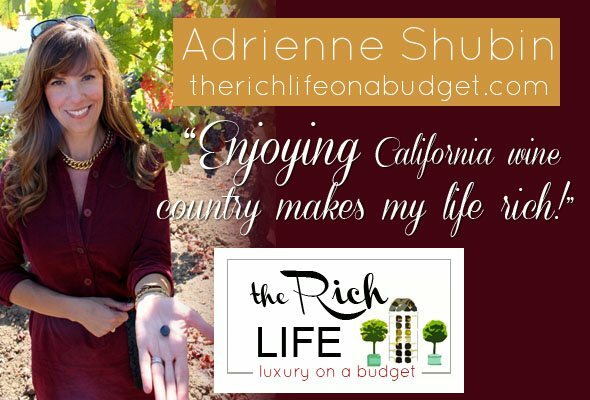 We enjoyed some delectable lightly toasted almonds while sipping their fantastic wines. After learning about the processing wine grapes go through, we visited the room containing stainless steel tanks. For the first time ever, I tasted wine-in-the-making from a stainless steel tank. Tony gave me a sample of Picpoul, still fermenting, that will soon go into oak barrels. It tasted like a vinegary cider. Interesting flavors but I think I wait for the bottling to enjoy it again! After our tour of the winery concluded, Tony invited us to take a drive around the property. We jumped at the chance! 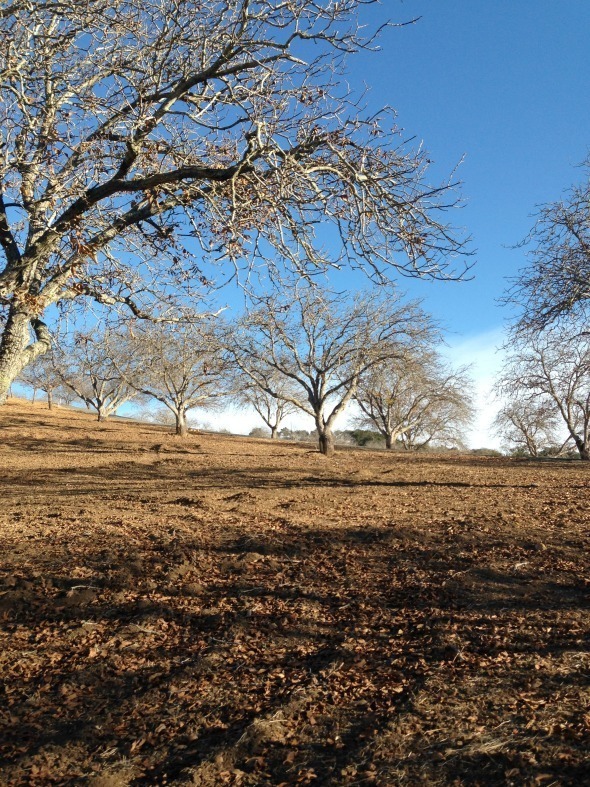 We passed through the property’s scenic walnut orchards before making the steep climb up the hill. 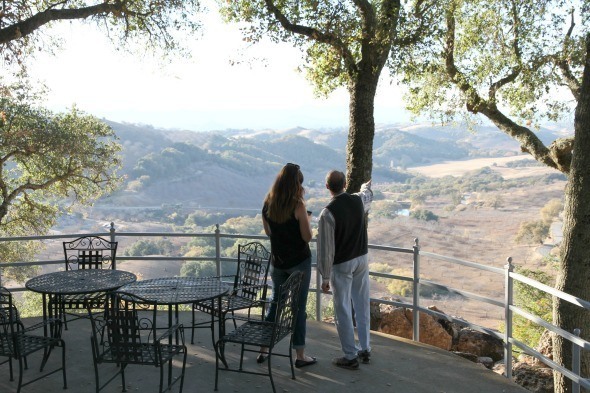 We stopped at the top of the hill, high above the winery, to take in the view. The patio and its surrounding area is available as a venue for wedding ceremonies and other events. You can see for many, many miles. There are acres upon acres of vineyards, walnut orchards and rows of rolling hills with the ocean beyond. In fact, the Pacific Ocean is just 14 miles from Adelaida’s property. This photo was taken in December. I can only imagine how green and lush this view is in spring. 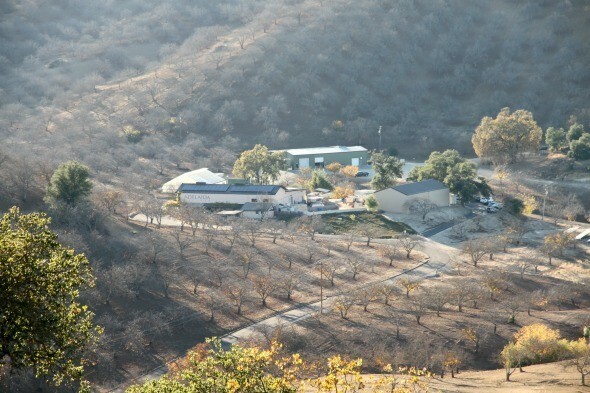 On our way down the hill, we could see Adelaida Cellars and the surrounding orchards from above. 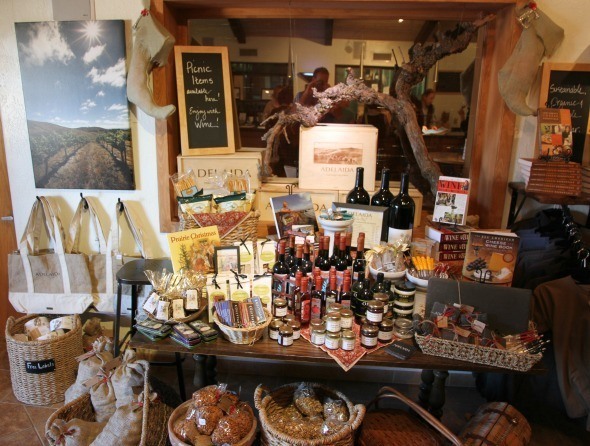 Once we returned to the winery, we decided to pick up a few things from the gift shop to bring back home with us. 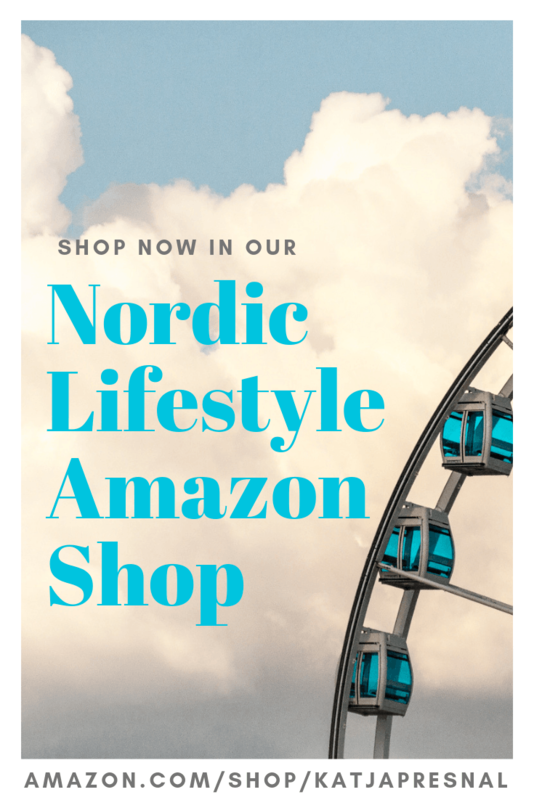 Even though the tasting room is not large, Adelaida Cellars is full of great gifts and to buy for a friend back home or for yourself like great picnic baskets, books, jackets and shirts, mustards and jams, and of course, wine! Along with the wines that we purchased to take home to enjoy, we also bought a big sack of walnuts in the shell and some raw almonds, my favorite snacks. After saying our goodbyes to Tony, we drove away past a small herd of farm animals. 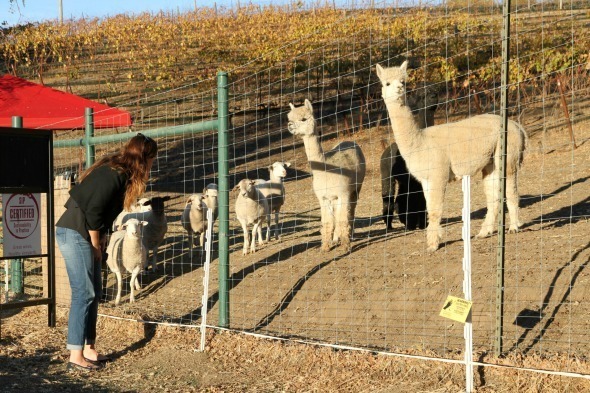 Sheep, Alpacas and llamas were standing by the fence in a vineyard and were very happy to see us when we pulled over to say hello. 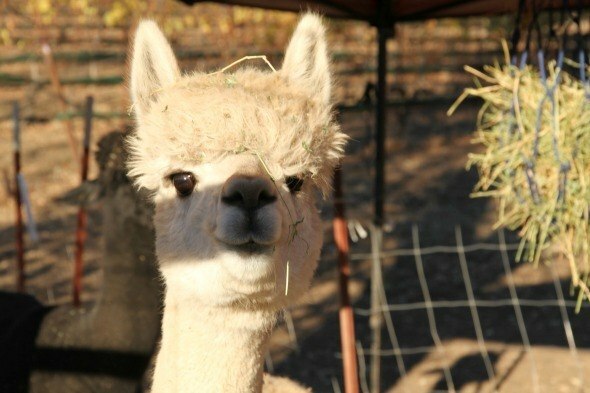 This Alpaca was particularly interested in our camera! 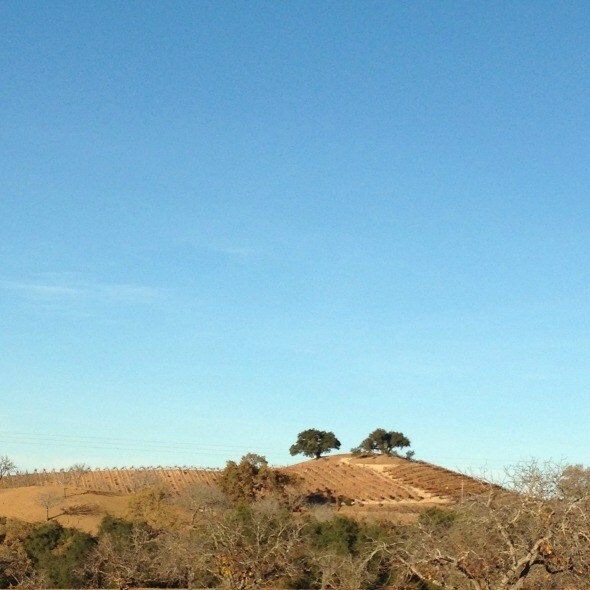 Adelaida Cellars is a must see when visiting the Paso Robles Wine Country and the Central Coast of California. Not only are the wines superior but the property is scenic and very vast. And if you happen to meet Tony in the tasting room, you’re in luck. He is a wealth of knowledge. I learned more about winemaking and grape-growing during our 45-minute tour than I have in all the tours I have taken combined. And that really says something! 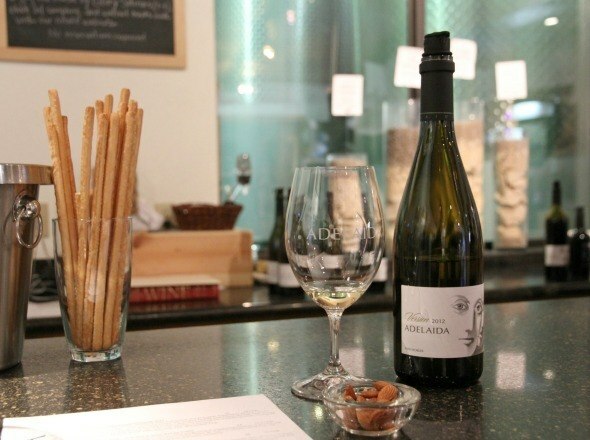 Adelaida Cellars is open 7 days a week from 10:00 a.m. – 5:00 p.m., closed on major holidays. Disclosure: My husband and I were given complimentary tastings and a tour during our visit to Adelaida Cellars. All opinions expressed here are my own.